(PhysOrg.com) -- A novel attachment that is designed for an ordinary wheelchair can turn the chair into a power-coaster with electric drive. 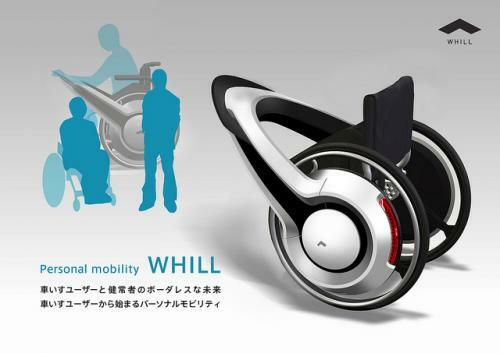 The transformed manual wheelchair into an electric wheelchair is the result of technology from a Japanese company called WHILL, which is also the name of the technology. 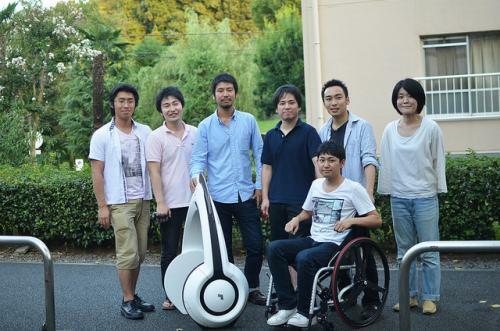 The transformable wheelchair/electric wheelchair was on view at the 2011 Tokyo Motor Show. The WHILL attachment, which Gizmodo describes as looking like a monstrous set of headphones, provides two circular hubs that go on the outside center of the chairs wheels. The user can steer the wheelchair by leaning in the direction that the user wants to travel. The hub is powered by a lithium-ion battery. The battery helps the chair wheels turn and move. Charging time of the battery is two hours under normal working circumstances, according to the report. The battery is good for about 19 miles before requiring a two-hour charge. The rotation speed of the wheels can be adjusted, via a mechanism that can vary the speed. The WHILL can provide a top speed of just over 12 mph. 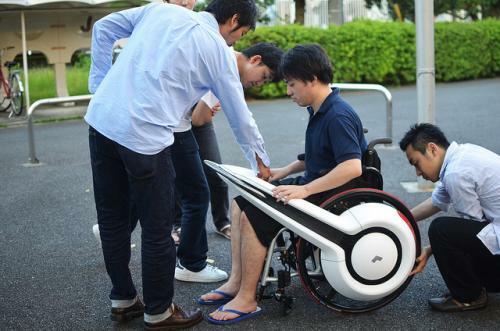 The developers of the device said they intend to move the prototype into field testing and now seek wheelchair users to participate in the tests. They say the feedback will help them design a product suitable for commercial production. In this nascent sate, no pricing information is available.